Patrolman Vu Nguyen passed away four days after collapsing during a 1.5-mile timed run that was part of the agency's canine handler eligibility process. Image courtesy of ODMP. Patrolman Vu Nguyen passed away four days after collapsing during a 1.5-mile timed run that was part of the agency's canine handler eligibility process. Vu Nguyen died at the Cleveland Clinic, where he had been approved for a liver transplant, according to Cleveland.com. "He and other candidates were participating in the physical fitness portion of the process in 90+ degree heat when he collapsed during the run on July 2nd, 2018," ODMP said. 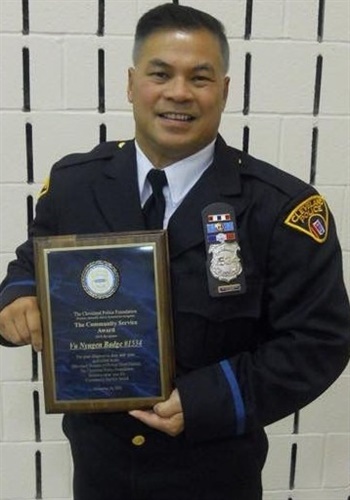 Nguyen has been a Cleveland police officer since 1998. He is survived by his wife and two children.